Bryony asked: I am an INTJ with an unhealthy Se function. Out of curiosity, is it possible to change this? I had a very unhealthy Se function at one point in my life –so unhealthy in fact, that I wasn’t using it at all (I’ll let your imagination fill in the connotations of that happenstance). Here are some tips for developing an unhealthy Se function. When I was still living at home, I used to take regular solitary walks in the woods. I would do it barefooted, and I would bring nothing with me, so it was just me and the trees. At the time, I just viewed it as an escape, but looking back, I realise that the frequency with which I enjoyed those forest walks really helped me to develop my Se function. Barefoot, and having brought nothing with me, everything became focused on the sensory experience of the place. My feet felt every twig, every squish of mud, and my eyes saw everything. Contrary to what literature and film would have you believe, forests are not quiet. They are in constant motion, and as I spent hours sitting beneath great maples there, I listened to every tug of the wind on branches, the shaking of brambles where the birds hopped. It was when I left home for the first time and lost quick access to those retreats that I lost touch with my Se function entirely. In learning to regain it, I had to resort to new methods (because my university is in the city, I didn’t have ready access to the outdoors). When I left home and started to lose track of my Se function was when I first took up swing dancing. My ISTP rock-climbing friend has been out-of-country for a year now, and since he’s the one with all the equipment, I had to drop that hobby when I left home. I realised that if I wanted to stay rooted in the physical world, I needed to directly engage myself in it, so I tried something that I had never done before. Do something physical regularly. Go for a daily run. Take a hike. Join a dance club. etc. You’re not an upper-Se-user, so your activity doesn’t necessarily need to be spontaneous or spur of the moment. You just need to do something that will involve you in the moment and force you to focus on reacting to immediate changes. The reason swing dancing is a great option (for me) is that once you’ve learned all the steps/moves, the entire dance is improvised. As an INTJ, it can be terrifying to react to new music in-the-moment, coming up with steps as you’re putting them into action, but it’s good for us. Most team sports or outdoor sports will give you a similar need to react to new things. This doesn’t necessarily mean that you have to become an artist, but it does mean that you need to pay attention to aesthetics, or at least the visual details in the world around you. Growing up, I spent a lot of time drawing, painting and taking pictures, so my Se function was always in use. I’m a doodler. All through my kidhood (yes, I just made that a word) my class notes were more covered in drawings than they were actual information. Nowadays, my professors what us taking notes on a laptop, so I’ve had to make serious revisions to my note-taking strategies. 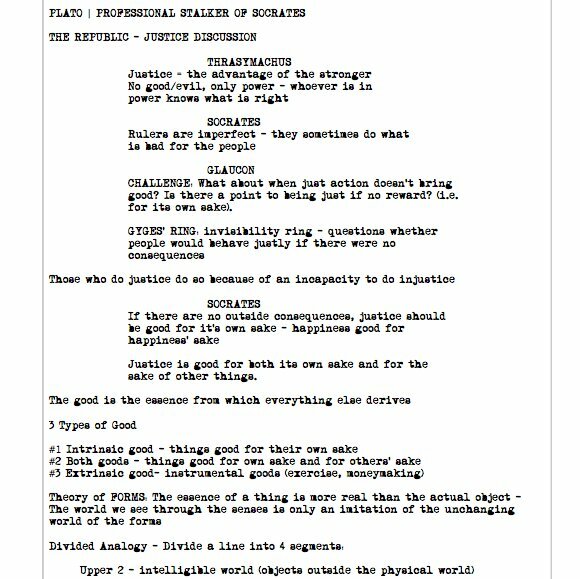 Even though I’m taking notes digitally, I still find ways to make them visual, for instance, by formatting them like movie scripts (yup, I am that awesome). I also use chalk markers and dry erase markers to write out my study materials on the windows of my apartment (I can’t afford a giant white board, so I use the windows). Then there is the Method of Loci, or Memory Palace, which I’ve discussed in depth in prior posts (you use Ni and Se when using this method). These aren’t necessarily the visual methods you have to choose, but I’d strongly recommend exploring visual learning methods if you haven’t already. But seriously, I used to trail behind my mother in fabric stores running both hands down either side of the aisle so that I could touch all of the fabrics. I still wander through stores wanting to touch interesting textures when I see them. In general, pay attention to how your environment is textured. What does the wind feel like? Is it hard and icy, or warm? Does rain seep down into your hair follicles when it hits you, or does it drizzle down your face? I don’t think there’s much more explanation I can give you for this specific piece of advice. It’s pretty self-explanatory. I’m not saying you need to make friends with somebody who’s a risk taker, extreme sports lover or Jackie Chan. However, if you want to develop your Se function, it helps to spend time interacting with people who use it as an upper function. There are all sorts of upper-Se users out there. Some of them like to take risks and pull stunts. Others really love to hug you. Others will constantly point out details in your physical environment that you wouldn’t normally notice. Still others will make you drop your books and come outside to play football with them. Some will bring art and imagery into every part of your life. Some will introduce you to dance. My ISFP room-mate is a very, very tactile person and expresses affection through physical touch. The same is true of my ESFP brother. Both of them are huggers. Both drag me outside to entertain some activity that is spontaneous and not part of my rigid schedule. Both are perpetually making noises with their mouths, humming, singing, burping etc. If you want a good example of how an xSxP friend will encourage the development of your Se function — Harold and Maude is a great classic film example. Hi, I am an fellow INTJ, I feel I use Te not so often, resulting in relying on Ni and Fi more, hence having a good Fi too, making me behave closer to an INFJ, I have analysed it many times to finally decide that yes I am an INTJ, I want to work on my Te, I have it, but I might be using it lesser than I should do, how can I get it working in full mode, don’t need to be exhaustive, just two three tips would do. Btw, I think my INFJ characteristics are because of my growing up among most of Fi/Fe users around me, and Te not developing that much because of me being highly introvert. I personally think that the inferior function can not be developed – the higher self is pretty much the opposite, ie more Ni, less Se. If by chance this to develop and use the inferior function obviously have to suppress the use of Ni, which would be impossible for Ni-dom. A large majority of people on the Net are looking to be understood, be it through cheesy Buzzfeed tests or MBTI. I am not an exception. As an INTJ in my early teens, I am struggling with everything you mentioned above, along with developing my tertiary and inferior functions. Knowing that other INTJs have struggled and suceeded is immensly comforting. I thought it right to voice my appreciation for your blog and how much it has helped me to understand and better myself. So, thank you. I have a question which regards Se in a social setting. (I am an INTJ btw). This and the other Se post were helpful in a general sense, but here is a problem I personally encounter. Whenever I am around people I don’t know well or consider as a friend, I behave in the way I am most comfortable with: distant, observant, serious, quiet, etc.. but when I am with the few people I consider my friends my Se seems to take over my brain in a most distressing manner. I begin to goof off, talk loudly, I become quirky and playful, and overall, much unlike myself. I go home feeling like a total fool. The worst thing about it is that I have little to no control over this while it is happening. I am in my late teens, so I am hoping that in my twenties my Se will be somewhat tamer. Has anyone else encountered this problem? If so, is there a solution for an immediate solution for it? This is a very excellent question, and I doubt you’re the only one who has it, so I’m going to type up a post answer to it. I would really like it, if someone could read this and comment upon. For the last three days, I realized that I was living in a reality distortion field created by my insecurity of being an introverted person. I had made myself believe that I was an ENTP, where every inch of my cognitive behavior was that of an INTJ. My first reaction to the suggestion by a person close to me who knows about MBTI was to dismiss it. I couldn’t believe that I couldn’t see my true type. But he comfort and easiness in which I made plans and created a future vision for myself, the easy understanding of theoretical and abstract concepts and abhorrence of people who need lengthy explanations and many examples related to practice to understand a new topic, my intuitive observations of others was too comfortable and true, to ignore the fact that yes I am an INTJ. I was blind to the observations of my family and people who knew me, such as I was a single-minded, control freak, a very scheduled person, master at organizing, showing little to zero emotion unless I have something in common with that human being. Even in university now that I study statistics, I feel comfortable and happy and content and confident in my extraordinary abilities to follow my single vision (that I will not share with you) and achieve that vison by organizing my environment, while I thought that I was an ENTP. But what I really want to point out and is the reason why I wrote this huge message is my personal demon, the Se. I feel overwhelmed when there’s too much sensory information, as is usually the case with sports, night clubs, house parties with many people in it, etc. I’m really not good at it and I’m self-consious about it. I do not know my physical endurance so I am a bit weak there too. I’m unable to study when there’s things such as music playing or even when there are other people with me in a room. I read this blog and I saw myself in those posts (even my fetishization by an ESFP girl). I wanted to thank you for your unwitting help in finding out my type. Thank you. I can relate to your experience in that I once firmly believed myself to be an INFJ. I’m glad to hear you’re happy with yourself at this point. Yes, Inferior Se is annoying, but so are all other inferior functions. I’m pretty sure my best friend is an xSxP. Funny how that works. so what happened to #4? If any INTJs (or anyone, for that matter) are looking for a sport to try in relation to #2, I would perhaps suggest fencing. It is both strategic and physical, so we can use our rational, analytical parts of our brains at the same time as exercising. Additionally, it has both individual and team components, so you can work individually (something that is often better suited to INTJs), but without missing out on the occasional team bouts, as well as the feeling of being part of a close-knit group that comes from doing a sport that is practised by relatively few people. I am an INTJ and enjoy it very much, and I also know another INTJ friend who fences and thinks the same. It may not be for everyone, but it’s worth a try if you’re interested. I was talking to a friend of a friend about wall climbing and I think it would be a good INTJ activity as well. It requires a high physical awareness, at the same time you are also solving problems by figuring out the best and most efficient way to get up that wall. It is an activity that could be shared by doing with just one or two friends (or more), so you’re not relying too much on company, but you can still have someone to discuss the experience with. I think there is opportunities to be part of a community or not, depending on how important that is. I, at least, got very interested in this type of excercise and I hope that I will be able to try it out soon! I have a feeling that my Se will stay pretty developed because I have an ESFP best friend and I’m an INTJ. And who knows? Myabe I’ll help develop her Ni. Oh you doodle too?? I go through note books so quickly because they are 50% drawings. What do you tend to draw more of-people or objects? I’m actually minoring in art, now that you mention it. I doodle pretty much everything from the abstract to reality. I’m an INTJ and this post really helps me understand why my ESTP husband and I are such a great match. (Most relationship-oriented MBTI info puts me with INFP. My mom is an INFP. She drives me bananas with her inability to think anything sensible.) Yes! Captain ESTP did get me to climb up a mountain with him to propose to me. Yes! He absolutely hugs the snot out of me on every possible occasion. Surprises me after work with a bottle of wine and drags me off into the woods to drink it. Midnight skinny dips. Insisting I learn to shoot a rifle and a pistol. Now I see…..There is a lot of joy for me in these activities and I never would have done them on my own. Si-user here. By method of contrast, now I understand why I can’t see and feel things “in the moment” like the more athletic Se-users in my family. I also have a hard time visualizing detailed mental pictures of people or places, so I have to rely on dominant, defining traits/impressions when recalling real life or creating fictional settings/characters. Although I would prefer fiction to play out in my head like a movie, it just doesn’t work. Even the animated gifs give this post a Se touch ;) I love them. A round of virtual applause for Buster Keaton! Which movie is the last gif from? I think his expression when being hugged is so precious. I’ve never seen a Buster Keaton movie, something I should perhaps add on my long to-do list (and thanks to you, I’ve added reading a Shakespeare piece or two, though the language could be a barrier in my case, not a native English speaker here). Unfortunately I’ve seen so many Buster Keaton films that a lot of them are sort of muddled together in my brain. I’m not sure which one that gif comes from. Just out of curiosity, what’s your native language? I’m well familiar with the difficulty of reading poetry and very old-style verse in foreign languages.